oh no we all davy was the hot one and we all wanted him to be are boyfriends, but mickey was the funny one.. loved this show. You girls ROCK, anyone who doesn't like the Monkees should be Shot. LOL Just Kidding, Thank You very much for putting the Monkees in here. I loved Davy! I saw them in their comeback concerts in 1986- twenty years after and screamed like a kid - even though I was 6 months pregnant! LOVE the Monkees! I even had a pair of Thom McCann Monkee Boots in the 8th grade!! 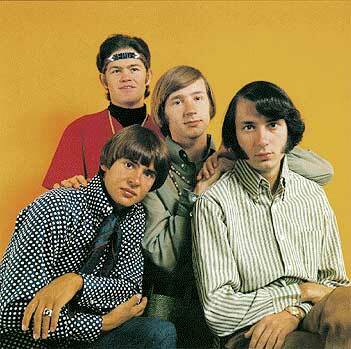 Hey, you're great and right on the ball for adding the Monkees so soon after my request. When I was younger I was in Love with Mickey, my best friend was in love with Davy. I have 2 of their albums and a cd. I even taped their special. The Monkees were funny but their music was Great. Especially the one song Only Shades Of Grey. If you never heard it you have to listen to it. It wil make you cry.